Peak body Road Freight NSW (RFNSW) has welcomed the State Opposition’s support to stop ‘exorbitant’ port surcharges unfairly imposed on truck operators at Port Botany and its pledge to work with RFNSW in a review of exemptions for the luxury-vehicle tax. Opposition Leader Michael Daley and Shadow Minister for Roads, Maritime and Freight Jodi McKay said landside prices and charges had ‘escalated rapidly without explanation or justification’ and promised to put an end to ‘unfettered and unfair pricing practices’ at the port, if elected on Saturday. “On behalf of our members, RFNSW is pleased the Opposition has listened and acted on the concerns of our members. 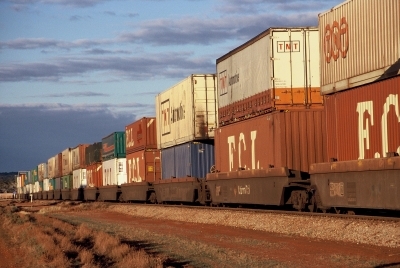 It’s time industry had a fair and robust price monitoring system at the port,” RFNSW’s chief executive Simon O’Hara said. “For over two years now, RFNSW has been fighting hard to raise awareness of these mounting surcharges imposed by the stevedores and their crippling financial impact on truck operators. It’s out of control. “Following our ongoing advocacy and dialogue on behalf of our members, Ms McKay has assured us that the Opposition is committed to a review of those exemptions, in order to protect the trucking industry and will work with RFNSW as part of that review,” he added.